Entrepreneur-in-residence Allene Lewis is the founder and chief executive officer of The Internet Tycoon, an online marketplace for web-based businesses; and Our Tech Friend, a networking platform for web developers, online marketers and graphic designers. She is the co-founder and has previously served as chief technology officer of G20 Intel, your daily scan of the new global economy from a market-liberal, internationalist perspective. 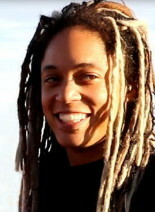 She has previously served as director of social media for online retailers Auqeo and Ballr Bidz; as a video game developer for Stigma Games; and as a web developer and technology consultant for numerous other projects including Geeky Gadgets, an online retailer of unique electronic products; United Product Services and Cannabis Career Institute. Currently, Ms. Lewis serves on the boards of directors of G20 Intel; Geeky Gadgets and The Internet Tycoon.